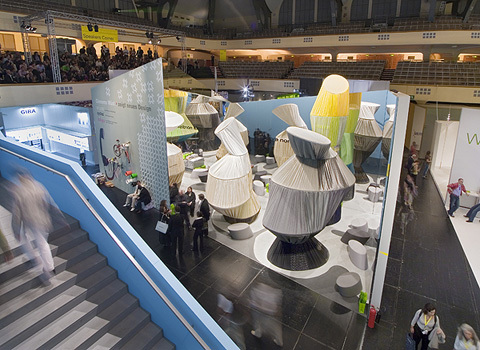 The "Garment Garden" was designed in 2006 for The Design Annual, a yearly event by Stylepark and Messe Frankfurt for high-end design. 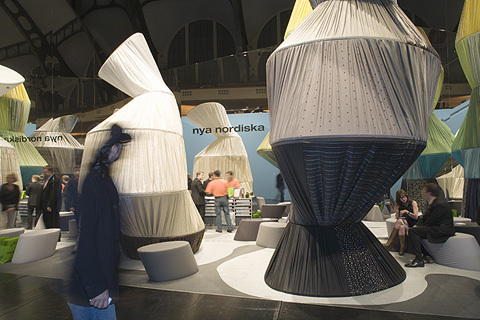 Nya Nordiska, a company based in Dannenberg, which is internationally renowned for its high-quality decorations and upholstery fabrics utilized the design properties of textiles to transform them into a unique architecture. 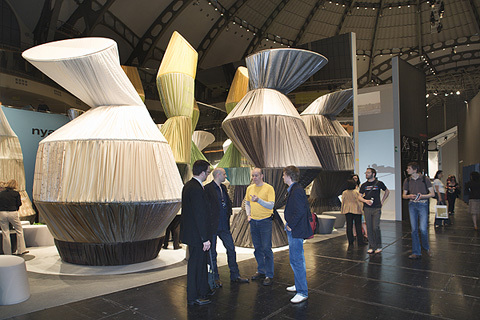 The design came from Jürgen Mayer H. in Berlin: He spanned individual cone modules with thousands of running meters of fabric, then placed them, convoluted, on top of one another thus create a striking interplay of dimension and perspective. 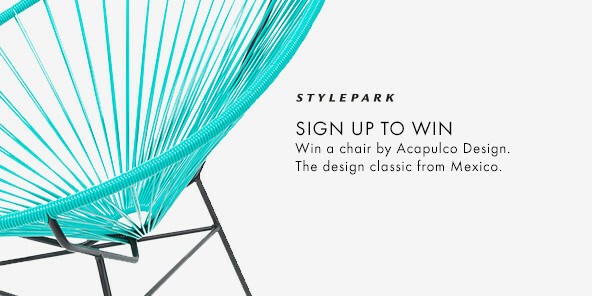 n its more than 40-year history the company has received over 160 design awards including the red dot award, the IF product design award and the GOOD DESIGN Award. In 2006, Nya Nordiska was the first textile company ever to win the Designpreis der Bundesrepublik in silver, for its decorative fabric "Clou". The company can now add another trophy to its collection with the 2007 Adam Award, in bronze, for its prize-winning trade fair presentation.